I\'ve replaced ALL of the Elder Scrolls IV: Oblivion music. Every last piece. In total, there are 31 pieces of music. 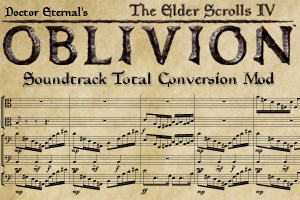 I've composed all new music for the Elder Scrolls IV: Oblivion music. Every last piece. In total, there are 31 pieces of music. Why am I doing this? First, because I love the game. Second because I love the soundtrack. Third, because it combines my two major passions, video games and composition. And Fourth, and perhaps most important, because I am hoping to get the attention of some game companies and get some more work as a game composer.